It can grind peppercorn, sea, kosher, or Himalayan salts, Italian & French spices and more! 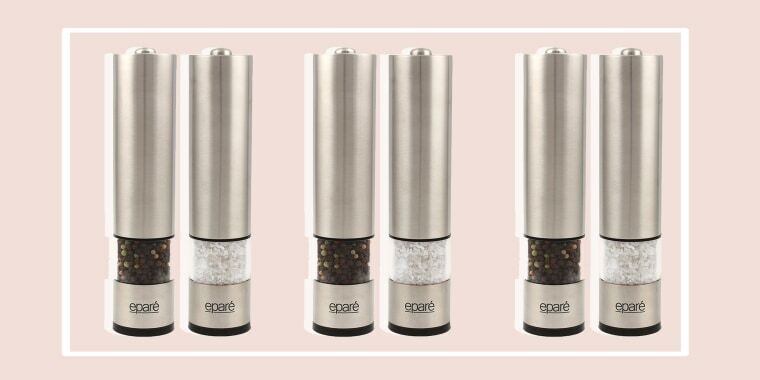 Today only, Epare is offering 30 percent off their best-selling salt/pepper grinder. This originally retails for $25 but TODAY reader can get it for $18, no discount code needed. This salt/pepper grinder from Epare does so much more than grind salt and pepper. It's excellent for grinding spices and can even crush the toughest kinds, like the popular Himalayan Salt. It is incredibly easy to use and fill. Just buy whole black peppercorns, coarse sea salt, or spices (like coriander seeds), pour them into the easy-open cartridge and press the button on top! Plus it has an LED light that makes it ideal for use in the evening hours - say hello to your new best friend at those spring and summer cookouts! For more kitchen gadgets we love, check out our round-up of the best gadgets under $15, the best knives and knife sets you can buy and the best slow cookers to make weeknight meals so much easier! For more deals, check out our favorite picks from Nordstrom's Winter Sale happening right now!